Every traveler knows that buying a good camera is not enough; you also need to have a good camera bag to keep your camera gadgets protected. I can’t even describe the numerous times I have almost had a heart attack because I thought I had lost my camera accessories or mistakenly hit my camera somewhere. And sometimes accessing my camera has been a big issue for me too which is when I realized I need a good camera bag for instant photography. In this guide, I will list down some of the most convenient and useful camera bags for you to consider. There are several things like size, the material used, weight, etc. which will play a crucial role when deciding on the right camera bag for yourself. The first thing that you need to decide upon is the type of camera bag that you are looking out for yourself. One of the most popular types of camera bags for people who travel or trek frequently, a camera backpack is perfect to store your DSLRs. It keeps the bag out of your way which makes it easy to hike or trek but you have to remove your bag every time to get out the camera. If you are one of those who likes to take a lot of shots while traveling then a messenger/shoulder bag will the right fit for you. It can put a lot of pressure on one of your shoulders but it is convenient to access your camera equipment without removing the bag. 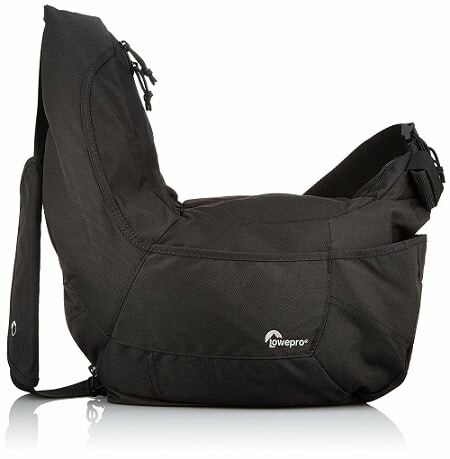 Similar to a messenger camera bag, a sling camera back is ideal for people who carry few camera items with them. So, you get the convenience of both the backpack and the messenger bag but yes, you can’t store more than one camera at a time. If you are a huge photography nerd then you might have a lot of camera equipment and accessories to carry around with you. A rolling camera bag is like a suitcase so, you don’t have to carry it, just roll it wherever you go. This can be a great relief for people who take their camera equipment all day. While this is not per se a style of the camera bag, this is actually a really convenient and cheap option for people who don’t have a lot of money to spend. This makes it easy for you to convert any bag into a camera bag to keep your camera and its accessories protected. All you need is a camera bag wrap or a camera bag insert and you can convert your suitcase, small bags, etc. into your own personal camera bag. 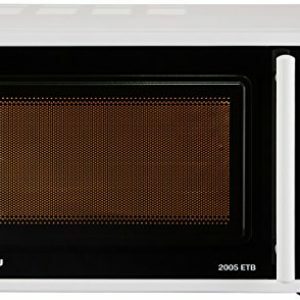 What is the material used for its construction? Next important thing to check would be the material used to make the camera bag. A bag made out of natural fibers like cotton, canvas, etc. will be more tear-resistant but can be slightly heavy. On the other hand, camera bags constructed out of man-made hi-technology materials like nylon are lightweight and water-resistant. What is the capacity of the camera bag? Another thing that I always look out for in a camera bag is its capacity to hold my camera gears. Depending on your camera bag needs, you need to choose the size which suits your purpose. Go for a small bag if you are looking for day trips and a large bag if you are going off for a couple of months. One of the biggest problems that I previously used to face with my camera bag is that it was uncomfortable and tiring to hold. I would keep on shifting the strap from one shoulder to another and by the end of the day; my back would be killing me. This is why it is important that you choose a bag which will be easy and convenient to hold. 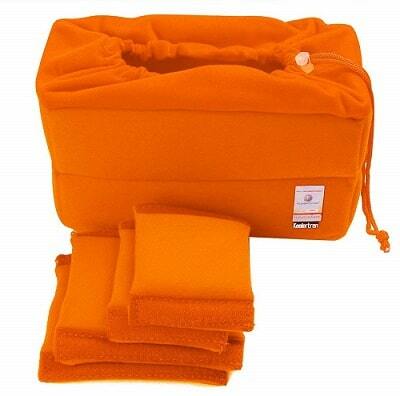 Make sure that it doesn’t create a lot of pressure on your body and is ergonomically designed. Finally, you have to consider the padding provided for keeping your camera gears safe. While a lot of padding ensures more safety, it also means a bulkier and heavier camera bag. Also, a water-resistant camera bag is a must. 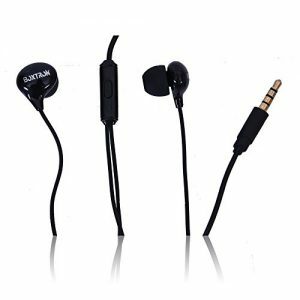 You can also go for a bag which includes a waterproof cover. This will keep your camera gear protected in rain and storms as well. 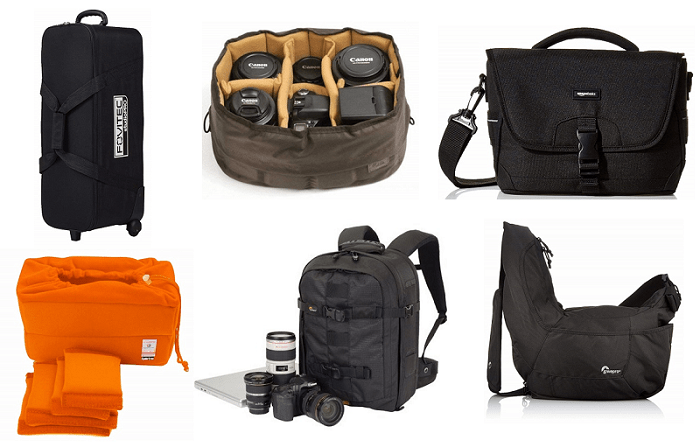 You can check out the following list of camera bags and compare them to find the best-suited camera bag for yourself. This camera backpack is one of the most popular camera bags on the market because it not only keeps your camera gears protected from all elements but also has space to fit a laptop/notebook. Plus, the AW cover keeps your gadgets protected in all kinds of weather. It also includes front zippered pockets to store your personal belongings which are easily accessible to you. Apart from that, the backpack also features an easily adjustable shoulder strap, padded backpad, waist belt, and side compression straps. This makes this camera backpack highly convenient to carry, especially while hiking or trekking. 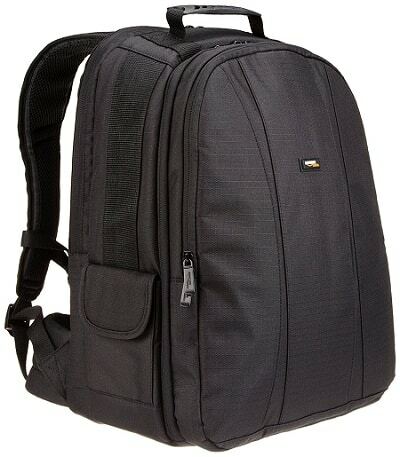 One of my most favorite camera bags is the AmazonBasics DSLR/Laptop Backpack. 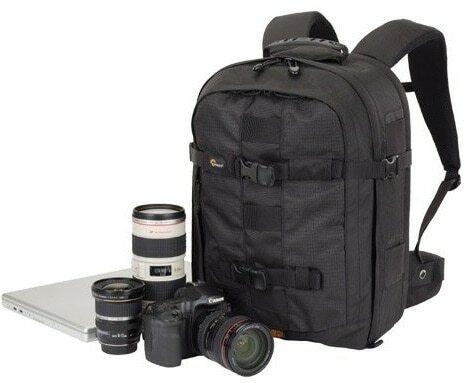 This handy bag can not only hold 2 DSLR bodies, a few lenses, and a few camera accessories but a 17-inch laptop as well. It also includes customizable padded interiors which make it easy to store and organize all your camera gears. And it also features adjustable and padded shoulder straps, chest straps and waist belts which makes it convenient and comfortable to carry as your camera bag. 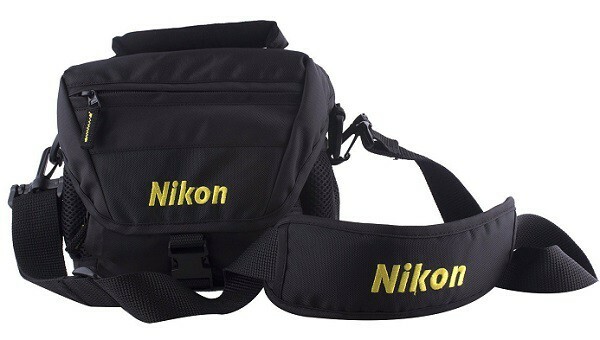 Nikon DSLR Shoulder Camera Bag is small and convenient to use and is perfect for people who just have a single DSLR camera to store. When I initially started, I used this camera bag a lot because it was easy to carry around and had a lot of small slots to keep other camera accessories like memory cards, charger, etc. While it can’t store many lenses or gears, it is ideal for travelers who want a cheap and convenient solution for their camera storage issue. 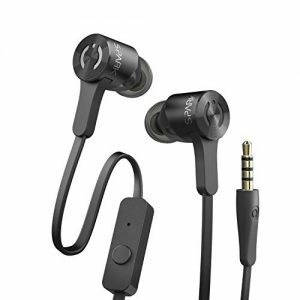 It also has a comfortable strap which makes it easy to hold it while traveling. This amazing shoulder bag can store 1 camera body and 2 lenses at a time which makes it an ideal camera bag for most travelers. It is also lightweight and includes a customizable interior which you can adjust to store your camera accessories too. It also has compartments to keep your phone, tablets, etc. so you can store all your gadgets in one place. Also, the padded, adjustable shoulder strap makes it easy to carry this bag even with the camera gear inside. 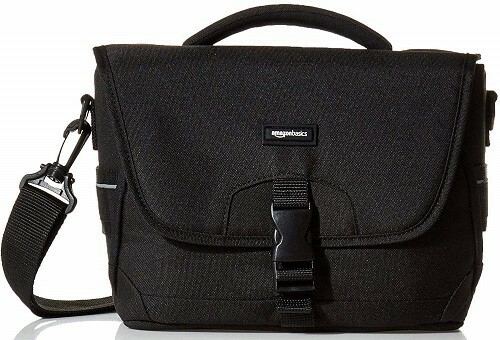 Honestly, if I was looking for a good shoulder camera bag, then AmazonBasics Medium DSLR Gadget Bag would be my go-to choice. This is a budget-friendly and ergonomically designed sling camera bag which can easily fit 1 DSLR body, 2-3 lenses, and several camera accessories at a time. It offers a rotating sling strap which makes this camera bag easily accessible both from the front and the back. AmazonBasics Camera Sling Bag offers a main compartment and a top compartment to store your personal belongings and accessories. Also, the 2 built-in memory card pockets and the tripod-securing system make it the perfect travel companion for all the travelers out there. 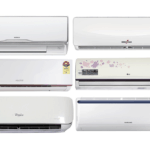 Apart from that, it also has an adjustable waist belt and removable inserts which allow you full comfort and convenience. For people who are looking for a convenient and easy-to-access camera bag, Lowepro Passport Sling III is a perfect choice. It can easily fit 1 DSLR camera inside the camera bag inserts and also provides both inner and outer pockets for camera accessories and other gadgets. The removable shoulder pad and the easily adjustable shoulder strap make it comfortable for long journeys. But the best part is that you can expand this bag by unzipping the front compartment to store a light jacket, your lunch, etc. The next camera bag which I am saving currently for is Fovitec Rolling Camera Bag which can easily store all my camera gears along with the stands and LED panels. 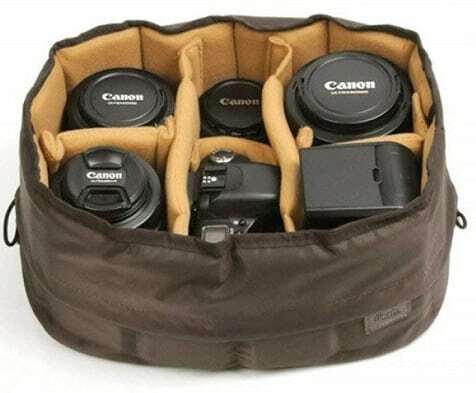 This camera bag is for professional photographers who have a lot of camera equipment to carry with them. It can hold your tripod/monopod and includes padded Velcro partitions which can be customized to organize your camera gears. The inner lining is made out of soft fleece which prevents your camera from getting scratched and the easy glider rubber wheels make it easy to move your equipment around. It is made out of nylon and has durable plastic corners which provide additional support to your gear while keeping your bag lightweight. If the price is not an issue and you are looking for an easily portable camera bag, then Lowepro Pro Roller x200 is the perfect bag for you. This camera bag is airline compatible and features a Lock & Go system which protects you from camera thefts. 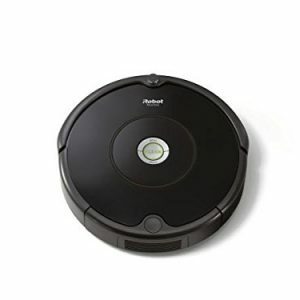 It also features premium wheels which are easily detachable and can be replaced quickly. You will also find a smaller camera backpack by unzipping the bottom of this camera rolling bag which eliminates the need to purchase a separate camera backpack. 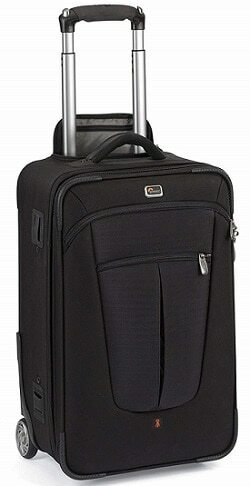 Just reduce the size of this camera bag and you are all set for an impromptu photography trip. Yet another great choice for camera owners is a Koolertron Camera Bag Partition which can be placed in all kinds of bags and luggage. This camera bag insert is made out of polyester which is why it is lightweight and easily customizable. It is also shockproof so your camera gears will be protected at all times and can be used separately or inside a normal bag. This camera bag insert is perfect for people who are into street photography and often spend an entire day, scouring out their immediate surroundings. If you are like me then you don’t want to spend too much money on different types of camera bags. In such a situation, Ciesta Camera Insert Partition is a great choice. 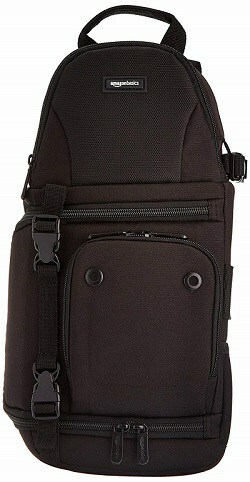 It is a medium bag with partitions that can hold your DSLR body, lenses, and other camera accessories. You can fit it inside any bag and then just close it with the drawstrings to protect your gadgets. 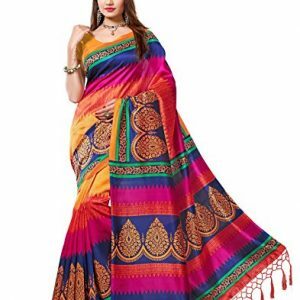 And since it is made out of canvas, you don’t have to worry about wear and tear too.